You know, here in the South East of the UK we are still bathed, perhaps drenched is the word in a 1976 style heat wave, whilst our cousins in the North have their indecisive forecasts. We are thinking of you guys! 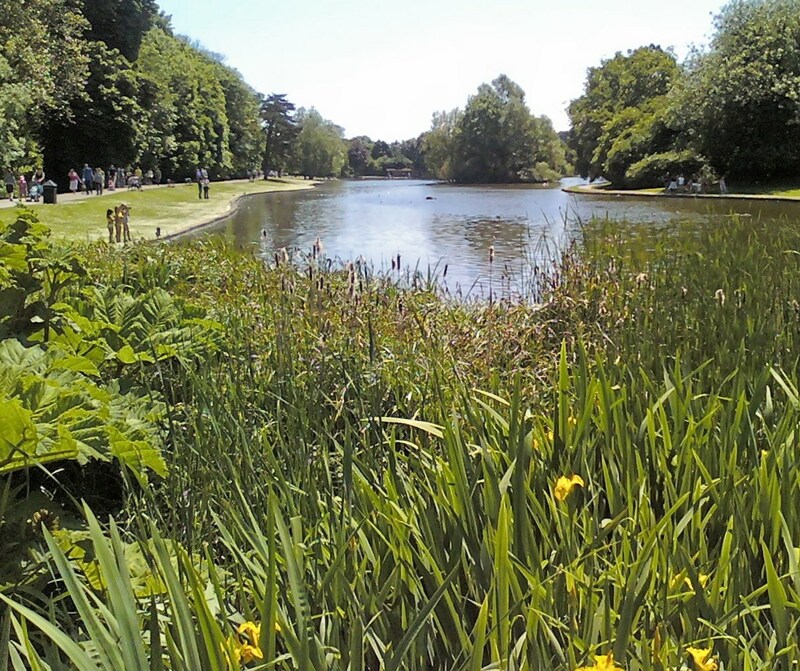 This shot taken of the beautiful wildlife Lake of St. Albans Cathedral shows just how lucky or unlucky, depending on your thoughts, you can be. Well, for me, too much sun, is too much sun! This entry was posted in Patrick's Pictures, Patrick's Words, Snap Around and tagged St. Albans Lake. Bookmark the permalink.